Here at Jakata we're known for our diverse range of skills & knowledge that we bring to every client to make the visit as exciting and personal as possible. We especially pride ourselves in our colour knowledge, as creative colouring is such a major part of our offering! Recently we had a session in the salon where all the stylists created their own bespoke shade chart. With the huge range of colours we have at our disposal the possibilities are endless! We wanted to put together a chart of our very own bespoke mixes as a way to try out some new tonal combinations whilst creating a chart we can use to help get our ideas across to our clients. With this new Jakata exclusive shade chart and the creativity of all our stylists, you will be receiving a completely original and personalised colour, suited just for you! 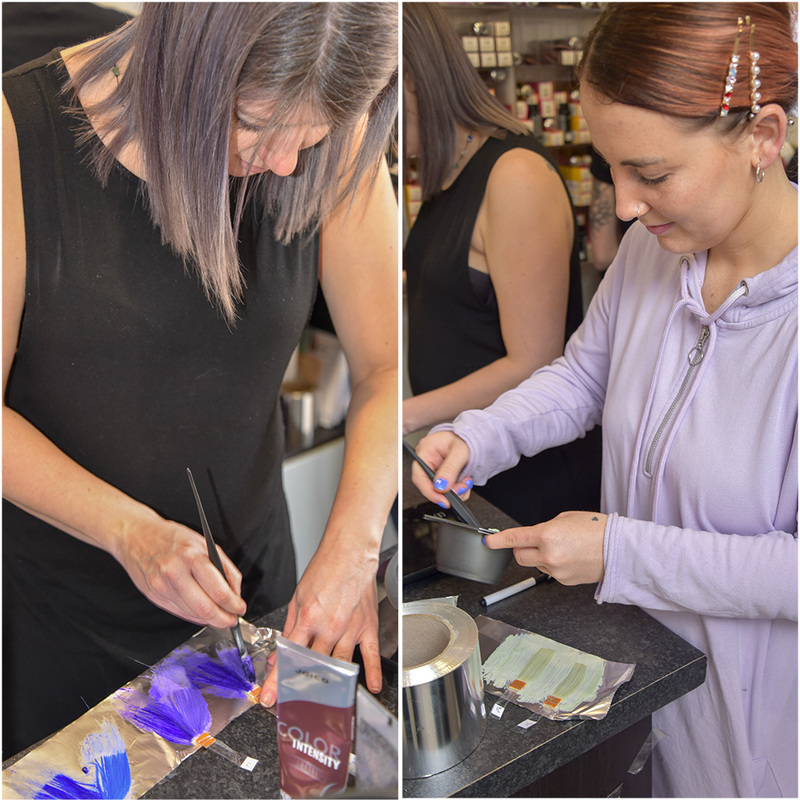 We all had so much fun experimenting with colour and discovering more shades and we can't wait to try them out - it's all about giving you a fashion forward look! If you want a unique, tailor made colour just ask your stylist next time you're in - or book in for a free consultation.